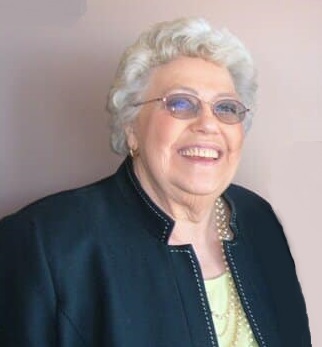 Georgia Rolene (Ford) Coleman, age 86 of Linn, passed away peacefully on Monday, March 25, 2019, at Jefferson City Nursing and Rehab with her daughter by her side. Georgia was born November 2, 1932, in Coatsville, Missouri, a daughter to the late George Wilkins and Rose (Conkin) Ford. On May 13, 1948, she was united in marriage to Rev. Lyle Eugene Coleman in Marshall, Missouri who she now rejoins in heaven. He preceded her in death on June 8, 2017. Over the years, Georgia was a dedicated mother and “preacher’s wife” and also worked for the Marshall and Fulton State Hospitals. She retired from the Division of Family Services in Linn. Georgia’s warm and loving personality endeared her to all. She loved and accepted people, and those who were privileged to know her, can attest that she never had a judgmental or cross word to say about anyone. Her skills as a seamstress and cook were well known. Many of us still wear something she sewed for us. Her fried chicken, homemade noodles and red velvet cake will never be replaced at family gatherings or carry in dinners. Her granddaughters and great granddaughters recall how she always looked effortlessly well-dressed and well-groomed. A trip to grandma’s house always included looking through her make-up and nail polish, smelling her perfumes, and playing with her costume jewelry! She had a great sense of humor and was a lively participant in board and card games. She was very knowledgeable about geography, and when some place new to her was mentioned she hauled out the Atlas to look it up and we learned right along with her. She was a voracious reader and an unequal dog-lover. The world is not quite as bright without her physical presence, but her shining example remains in our hearts and minds to inspire us. Georgia is survived by: one son, Robert “Bob” Coleman of Jefferson City; one daughter, Lyla Coleman of Jefferson City; two daughters-in-law, Kathy Coleman of Springfield and Darlene Behlmann of Fulton; one sister, Beverly Shively; four grandchildren, Camille Villalobos of Jefferson City, Bill Coleman of St. Peters, McKenzie Spencer of Fulton, and Matthew Coleman of Portland, OR; ten great grandchildren whom she showered with love and attention. She reserved special affection for nieces and nephews, spouses of her grandchildren and extended family members and innumerable friends. In addition to her parents and spouse of 69 years, Georgia was preceded in death by one son, Kenneth “Ken” Coleman who passed away in 2005 and a sister, Jane Preston. Visitation will be held from 9:30 a.m. to 10:30 a.m. on Saturday, March 30, 2019, at the First Baptist Church in Linn. Funeral services will follow at 10:30 a.m. with Rev. David Kruger officiating. A graveside service will be held at 3:00 p.m.at the Miami Cemetery in Miami, Missouri.